Ninja matches her hair colour a little better as she gets older. I really like to play with shapes and colour, just messing around with the lasso tool. Drew this a couple days ago while I was trying to come up with a more dynamic pose- Usually my art is very static, but I was pretty happy with this drawing. In case you couldn't guess, Ninja controls fire. 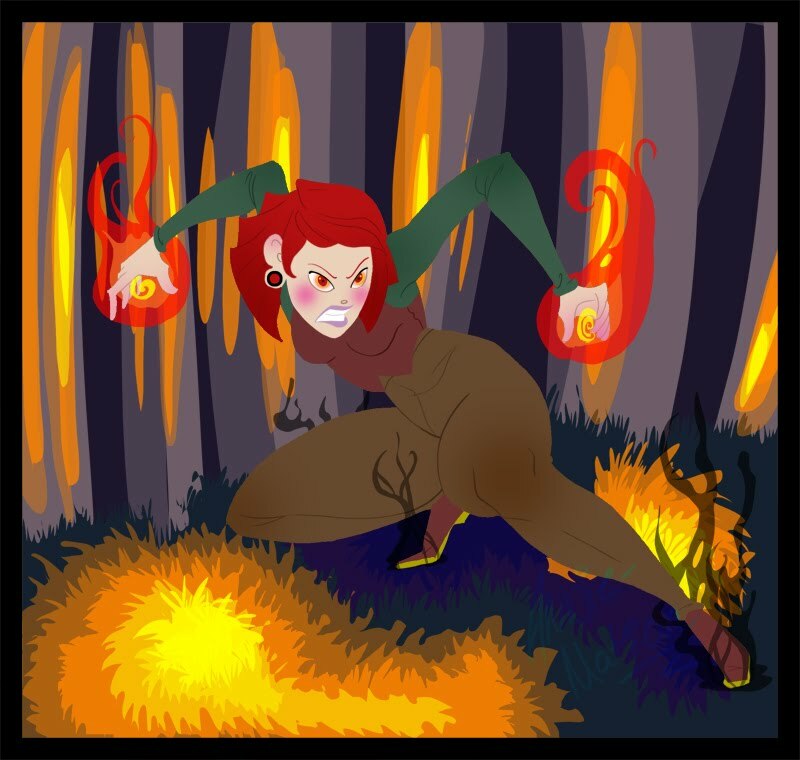 She also has a slew of other abilities she can draw forth with incantations and markings, but fire is her natural gift. Fire is super fun to do in shapes! I like this picture so much, I might even put it on DA. I really like this one...but I have to wonder where you're at with drawing anger and fire. haha...too much homework still?